Scent: Slightly medicinal, eucalyptus-like, slightly sweet with a fruity hint. Action: Anti-infectious, antiviral, antiseptic, anti-inflammatory, analgesic, anti-allergenic, antitumor, aphrodisiac, antispasmodic, antidepressant, carminative, antioxidant, antiperspirant, antibacterial, expectorant, antimicrobial, supports the nerves and respiratory system. Benefits, Indications: Bronchitis, cholera, herpes, infectious mononucleosis, insomnia, muscle fatigue, rhinopharyngitis, shingles, sinusitis, viral hepatitis. May help asthma, cystitis, burns, cancer, respiratory infections, cuts, pneumonia, scrapes, viral infections, wounds and it strengthens the respiratory system. 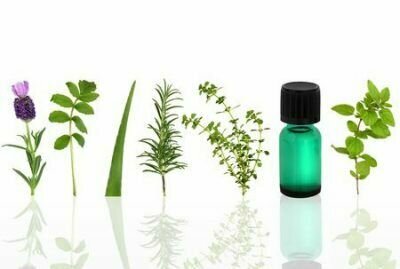 More Info: Some of the most notorious bacteria and microbes cannot even stand to be near this essential oil. They fear it more than anything and there are good reasons for that. This oil is fatal to the bacteria and microbes and can wipe out entire colonies very efficiently. It inhibits their growth, cures old infections and stops new infections from forming. Therefore, it can be used against diseases resulting from bacterial and viral infections such as food poisoning, cholera, and typhoid. This oil is very good for countering depression and giving a boost to positive thoughts and feelings of hope. This efficient bacteria fighter is a virus fighter too. It stops viral growth by rupturing the cyst (the protective coating on the virus) and then killing the virus inside. An expectorant like Ravensara essential oil is necessary in cases of coughs, congestion, asthma, breathing troubles and heaviness in the chest arising from the hardening of phlegm in the bronchi, trachea, larynx, pharynx and lungs. Precautions: No special precautions are indicated when using this oil. Application of near-infrared spectroscopy in quality control and determination of adulteration of African essential oils. Genotoxicity and antigenotoxicity of some essential oils evaluated by wing spot test of Drosophila melanogaster.